Tell us about your role and how you got here. What inspired you to launch your second video technology company after Jukebox TV? Jukebox TV was originally created to make a better viewing experience for discovering and watching video content on the web. The first “Pandora for Video” product on the web. This was a straight B2C experience. IRIS.TV is a video personalization and programming platform for broadcasters, publishers, and now — brands. The platform enables premium publishers like FOX, CBS, Time Inc., Gannett, and Rolling Stone to increase revenue by automating the creation of custom video feeds or playlists to users on a one-to-one level. This is the tip of the spear, as we are also providing our clients with valuable data enrichment, programming controls, and prescriptive insights that they can use to optimize their content strategy. This technology is more important now than ever. Major media companies’ business models are changing rapidly and they need to own their distribution channels. Publishers and all media companies have become too reliant on walled gardens like Facebook and YouTube for distribution. The future of media and marketing is building large loyal audiences and building first-party data to inform your strategies across all departments. As a video technology company, how would you define “Digital Transformation’ and “Digital Innovation”, respectively? Within five years, we’re going to stop using the term digital to define part of the ecosystem. There won’t be many Chief Digital Officers—instead every department will need to be savvy about how digital fits into their business, regardless of the industry. Whether it ’s organizational or automating processes all of these things play an integral role in the current transformation of the digital space. Innovation is leveraging emerging technology and knowledge to yield better results or simplify and automate a process. For example, the rise of voice and NLP technologies will help simplify the way we access information — from weather to sports scores to data in our business. Doug Rozen, Chief Innovation Officer at OMD is someone who shares this view. And if you look at the way TV spending is changing, and the rise of digital, it’s hard to look away from that and continue thinking that digital is this small part of the ecosystem we can separate from the “real business.” It is becoming the business. How do personalized video deliverables match up to the modern-day customer experience standards? Platforms like YouTube and Facebook have built habits with users. For major media companies to compete, it’s essential to create a great user experience and curate messaging specifically for subsets of your audience. The most effective way to do this is through data science and machine learning, which allow you to constantly improve performance and take advantage of network effects so you can show the most relevant content to users. For example, if you have a video on your homepage about the Super Bowl and you published it on Sunday, obviously it is still relevant on Monday. But if the most trending asset and best performing one is about the market drop on 2/5/2018, it’s no longer relevant the next day. If you don’t use machine learning, you may never serve the most valuable content to your audience. A playlist assumes they may want to watch sports, but everyone wants to see breaking news that affects them. Machine Learning can take advantage of that. What are the major pain points for businesses (users as well as non-users of video personalization tech) when they deal with the multi-touch video engagements? Video infrastructure is very complex. You need a CMS, transcoding/encoding tech, a video player, an ad server, a CDN, and some way of programming videos. Programming can be done through playlists, but you lose a lot of valuable data and in our opinion, it is essential to use machine learning and understand your Stream Yield in order to build great user experiences for your audience. The challenges are understanding how to place ads that are contextually relevant or don’t repeat too often and end up driving users away and learning from the data locked up in all those different parts of your infrastructure to learn ways to build large and loyal audiences. What are the key business video-centric CRM metrics that modern marketers should have at their fingertips? 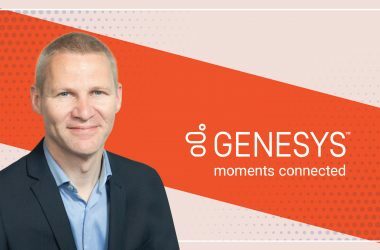 Content category-level data paired with new, returning, and loyal user data, and device data will be critical to understanding what content is resonating with different audience types and in what context. It is important to develop methods for building habits with users and your brands — whether that is promoting content on social or sending out content that drives viewers to a video experience through email targeting. The industry has good tools to track page performance and content marketing campaigns, but the insight on how they interact with editorial video content is not widely adopted nor incorporated into their operations This is one area where IRIS.TV provides value to our clients today. We create a feedback loop to help inform monthly and quarterly video strategies. What are your predictions for the video industry in 2018? How does IRIS.TV prepare for these? We can definitely expect a continued focus on brand safety, which has grown increasingly difficult due to the current news cycle as well as some challenges with distributed platforms such as YouTube. In addition, you have some fundamental changes to things that publishers had long taken for granted such as the Facebook newsfeed, Chrome, and Safari browser updates around autoplay. The good news is that publishers who have not been too heavily focused on distribution on third parties will see their audiences continue to grow. At IRIS.TV our focus is on maximizing engagement from new and loyal audiences, so we welcome the change. Out of the box, our tech has enabled our clients to increase the return from audiences on their owned and operated properties that have intent. Another big shift that is happening is viewers are watching less live TV and more viewing is being done in catch-up and online through OTT. Because there are potentially fewer people coming in from social, publishers have to be more strategic about how they use tools to drive users to their destinations. That’s where our prescriptive data helps. We can identify video assets that have led to increased follow-on video views and therefore more pre-roll completions. Pubs have used this data to finetune their audience acquisition strategy to drive users to content that drives the highest revenue. In 2018, users are being even more selective with their time. We’ve found that repetitive pre-roll leads to high drop off rates in the video streams. This is part of the reason we created IRIS.TV for Brands, to place branded video content into the video stream as content, not pre-roll. With branded content, we are able to serve branded video alongside editorial content in a playlist. This enables brands to get to the right premium audiences and helps publishers more than compensate for losses due to a depression in initial video starts. What’s exciting about this new format is users are completing these videos at a higher frequency than video ads on social, out-stream, and pre-roll so we expect that this format will grow this year. What startups in the martech/adtech industry are you watching/keen on right now? There are a number of startups that are leading the evolution of DMPs and emergence of CDPs as a market segment. This is a very exciting area that we are watching closely. What tools does your marketing stack consist of in 2018? We use Salesforce, Pardot, WordPress, Vimeo, Buffer, Canva, Adobe Creative Cloud, Infogram. Would you tell us about your standout digital campaign at IRIS.TV? Rodale also found extensive value in being able to customize the AI with programming controls, which allows you to set rules for the automation balances while maintaining scale, editorial standards and brand safety. We also use metadata enrichment and data structuring to get better insights from content categories. How do you prepare for an AI-centric world as a marketing leader? How do you leverage AI capabilities at IRIS.TV? At IRIS.TV, we understand the essential role AI will play in the future of consumer experience. As we are creating hundreds of millions of unique user experiences, you can imagine we have to process a lot of data. We use AI and machine learning across our entire workflow to determine the right piece of content to serve to the right person. We are still in early days of this technology but creating custom user experiences will become an essential part of building a loyal base of users. This application will become increasingly important for brands and marketers when it comes to ensuring proper placement of ads alongside relevant, brand-safe content. How do you bring together people and technology at one place? We are a data-driven company. Something that we have done is built out prescriptive analytics and alerts into our workflows. This can be done through email and Slack alerts so that any member of the team can subscribe to a data-set that pertains to their role. It is a great way to move people from dashboards and give them signals to take action — instead of just poring over data and trying to determine which action to take. We believe this is where analytics are headed and we’re big on prescriptive data as a result. We also believe that there is a pathway forward in business where we’re less reliant on dashboards or reports, and that data and information can be packaged in such a way that it lends itself more towards action and reduces time wasted. In the same way, “voice” has begun to take over screen time with Alexa and Google Home—we believe in business there will be more dashboard less intelligence incorporated into day to day work. Fewer meetings. When you have clearly stated agendas, clear expectations of participants and a window of time that is finite and well defined then everyone comes in much more prepared and knows what needs to be accomplished and it reduces drag in your organization dramatically. This is very difficult to do and when it is done correctly it is incredible. No matter the topic, getting a wide array of sources is essential. New York Times, Wall Street Journal, The Atlantic, The New Yorker, Business Insider, The Information, eMarketer, MarTech, Digiday, and right now I love the new publications Polygraph and The Outline. We’re seeing that today with YouTube and Facebook. The reach is so big and there’s so much data to learn from, it’s hard to keep up. Years after this conversation, IRIS.TV is helping companies like FX’s parent company Fox to grow video. Our focus is taking advantage of our data network, like the walled gardens, and using it to provide technology back to media companies and marketers directly. Thank you Field! That was fun and hope to see you back on MarTech Series soon. Six years ago, Field was lucky enough to work with some brilliant engineers and data scientists where they built the first in-stream video recommendation engine-Jukebox TV—think “Pandora for Video.” By focusing on building better data sets and adaptive machine learning—They built an early iteration of the tech that is now IRIS.TV. 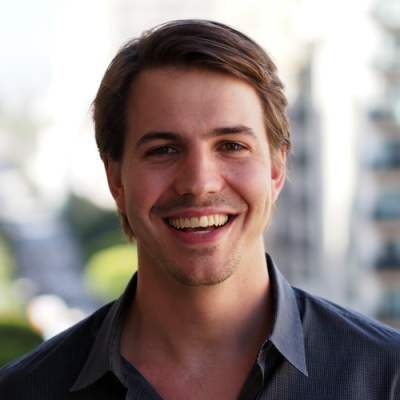 Field has been designing machine learning systems and programming products to power the future of video and TV since graduating at Pomona College. 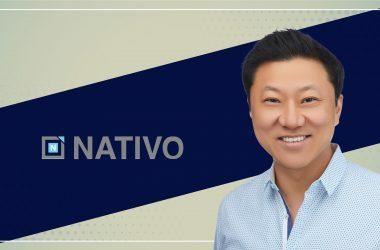 Throughout his professional career Field has worked with artists, creators, media companies and studios with a focus on distribution and product. 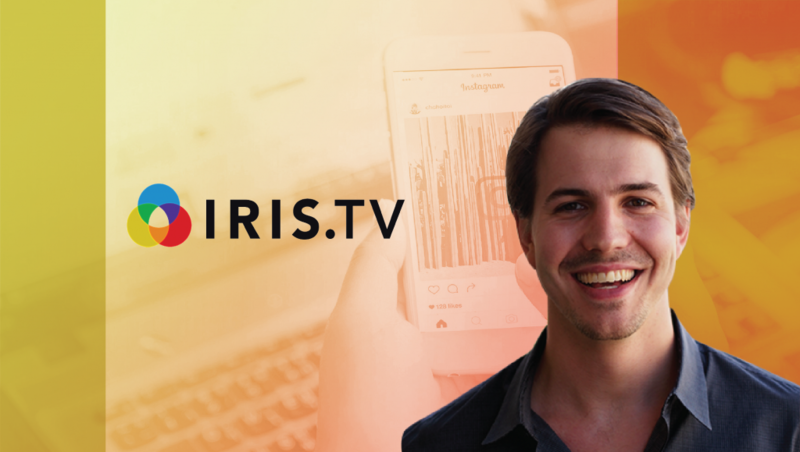 Ensuring that content distribution is profitable for artists and content owners is his credo and They built IRIS.TV to ensure that content owners and brands can own their distribution and make online video a profitable distribution. IRIS.TV is a cloud-based personalized video programming system that allows publishers and content owners to generate more video views and engage users across all devices. The company’s product suite is designed to increase video consumption and simplify operations for web, mobile, and OTT video distribution. The software integrates with existing video players using artificial intelligence and adaptive machine learning to automate streaming of personalized content based on audience preferences, user interaction, and behavioral segmentation. IRIS.TV has hundreds of customers across the world that rely on the company’s video programming platform to keep their audiences watching. Based in Los Angeles, IRIS TV’s investors include Sierra Wasatch, BDMI, Progress Ventures and individual backers including Machinima founder Allen DeBevoise, Lions Gate CFO James Barge as well as senior executives with Nielsen and AEG.